I’ve started working on a personal project that, for me, is a return to where I started. I design games because of Myst. 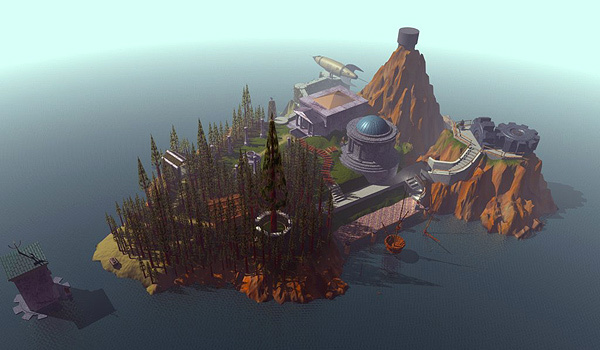 I had always played games, and always wanted to make games, but Myst gave me incentive and inspiration. It gave me the drive to spend all of my free time learning to create 3D images and script in Director, all while working 50+ hours a week as a tech writer. I learned, I worked, and in the end I created my first game, sold it to Microprose, and the rest of my life followed. I’m replaying all of the Myst games, starting with the original, and since I’m not ready to talk about my personal project quite yet, I’ll talk about Myst instead. I’ll update with my thoughts as I progress, again, through the game that got me started and all of its sequels. Right now, I’m about half-way done with the first world I chose to explore, Selenitic. As I completed the organ/musical note puzzle, it struck me that we’re inconvenienced now by games that make us take notes, especially if that note-taking involves real pen and paper. I used ATL-TAB to take notes in Notepad, and yes, I felt inconvenienced. Later Myst games added the ability to take screen shots and save them for later review, but I’m at least three games away from that innovation. 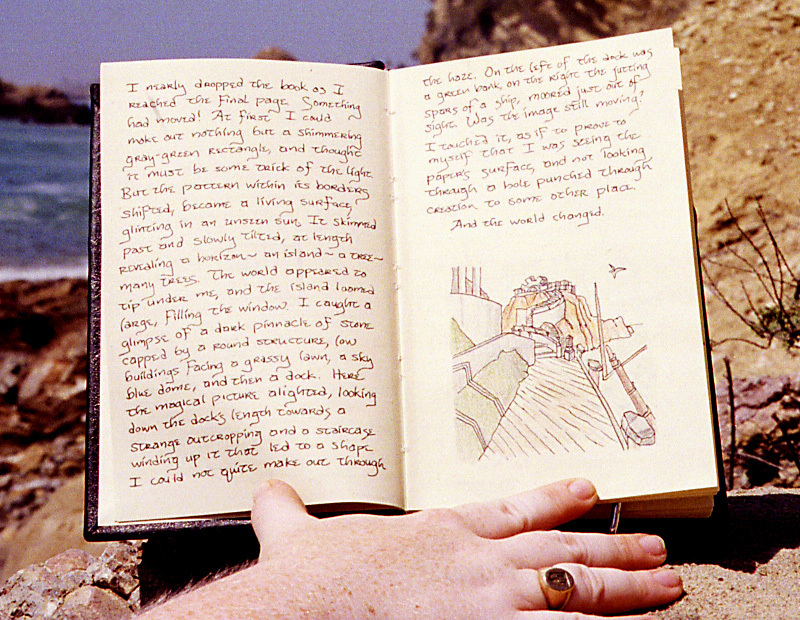 I’m not quite dedicated enough to do what one fan did, and create my own handwritten, Myst-style journal of my notes. Apparently I’m not the only one who was artistically inspired by Myst! Creating a game that inspires others to create is, to me, a marvelous achievement and just as the look of Myst inspires my art, its essence inspires my goals.